Join us and other UFV Retirees for the next installment of the Retirees Café. 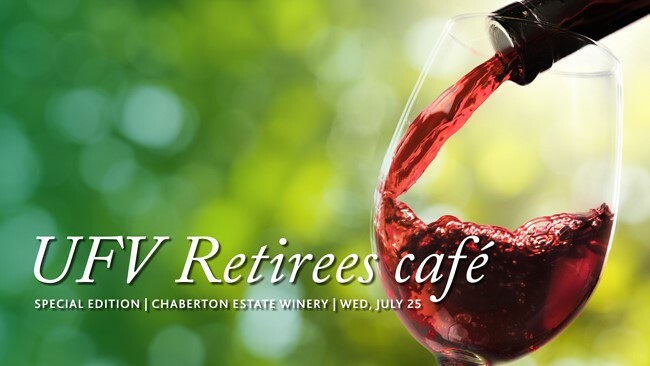 We have an amazing outing planned at Chaberton Estate Winery in Langley! Brian Ensor, General Manager, will start us out with a complimentary tour of the winery, followed by a tasting of several of their award winning wines. You are then invited to stay for a no-host lunch at the Bacchus Bistro, if you choose. This is one you don’t want to miss! Click here for driving directions and more details.